This Summer is the Summer of homemade otter pops. 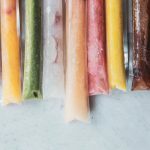 We dove right into this hot season with our freezer filled with these healthy homemade popsicles and we are so better for it! 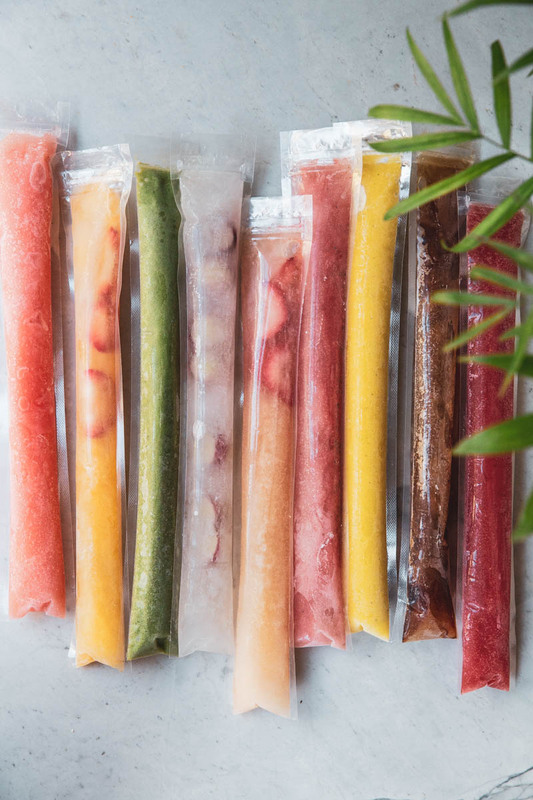 Making popsicles from scratch has never been easier with just a few natural ingredients and popsicles molds you can order from amazon. When swimming season started so did a big heat wave here in Utah,so, wherever we went I packed a few popsicles and they were perfectly icy and mushy once we needed them. We take these to friends houses to share, to the zoo, the park, the swimming pool, and on hikes. Everett, my 5 year old, is the one who really inspired this new found love of popsicle making. While we were traveling he would mix up juices and fruits and put them into ice cube trays. Then, once we returned home and he continued to do this, I finally bought a big pack of otter pop-like popsicle molds on amazon. 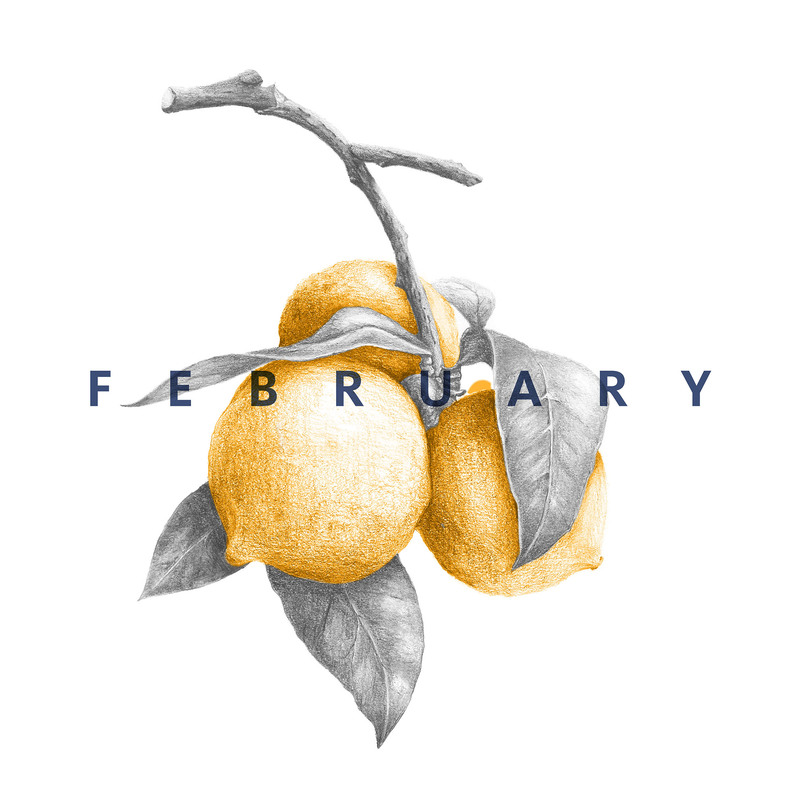 They come in a pack of 200 and its so fun to make up creative ‘recipes’ to fill a batch of them every week. Now, there’s no reason not to let my kids have a popsicle even before 9am and often times we do! I do keep the boozy adult pops for afternoon or evening treats though and enjoy the coffee pops before noon. We’re all staying cool and having fun getting creative with our popsicle flavors! Please let me know what pop flavors you try out! 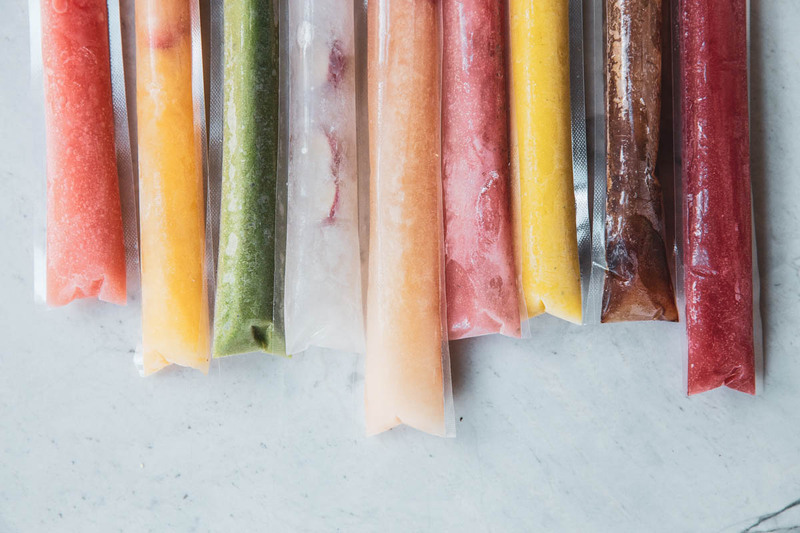 Here are tons of healthy ideas for making homemade freezer pops. Unzip freezer pop bags then gently blow air I not the bags to open them up. 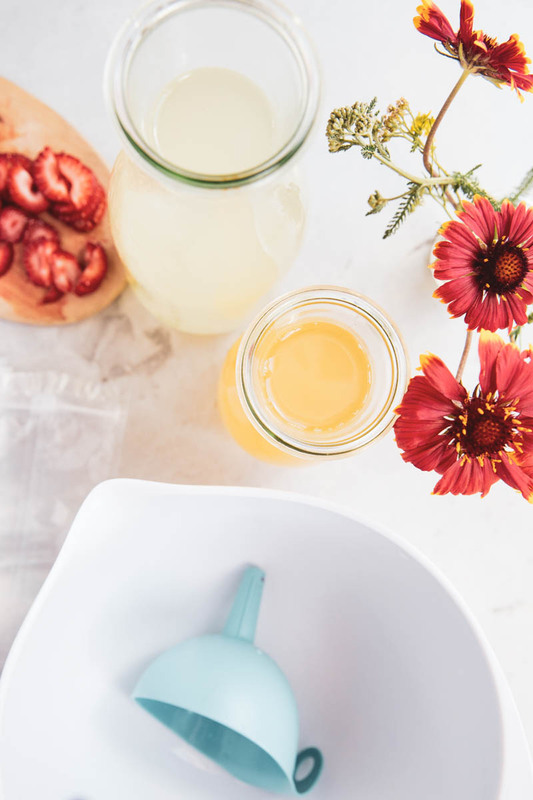 Blend juice with frozen fruit (if using) or slice fresh fruit up and slide into the bags. 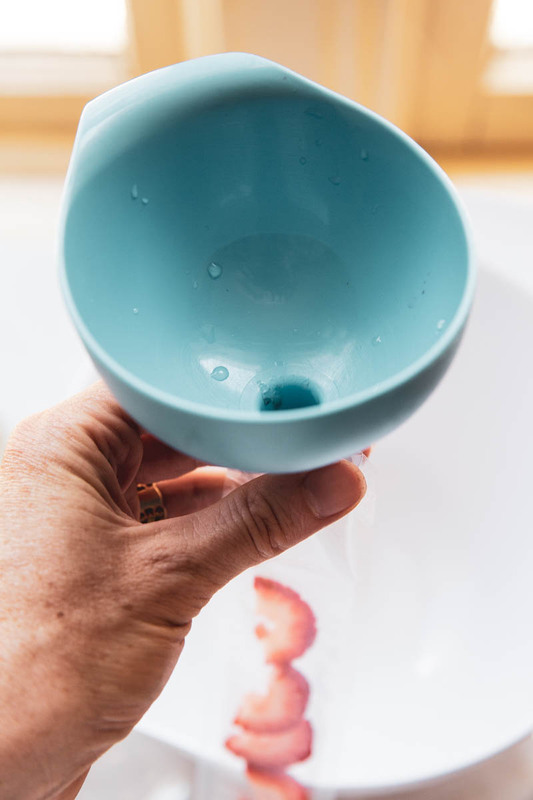 Place funnel into an open freezer pop bag and over a bowl, slowly pour the juice liquid into the bag. Leave about a quarter inch at the top. Zip up the bag then repeat with remaining bags. Freeze for 4 hours at least. 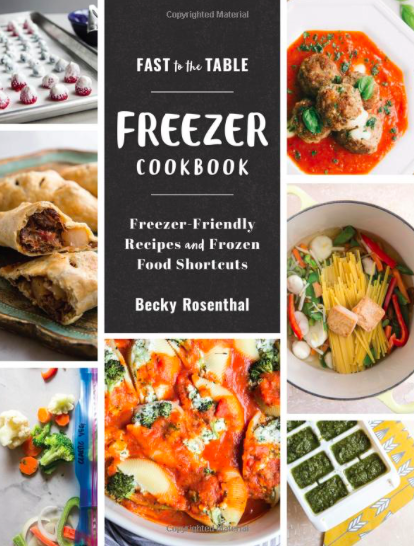 These will stay fresh in your freezer all Summer. Becky, I absolutely love these. Never heard of them and I’m excited to try. I’ve been thinking about buying some popsicle molds but the plastic sleeves look so functional. Thanks so much Letty and so good to hear from you!! These are so good for hot Utah days!